Medicare can take care of 80% of all approved hospital charges. As a patient, you will only need to cover 20% of the treatment costs. That is where Medigap steps in to provide comprehensive coverage. To receive the benefits of supplemental Medicare plans, patients must be enrolled to Medicare Part A and B. With Medicare Part F you will not have to pay for anything from your pocket at the doctor’s office. Medicare Part F is said to be the best type of supplemental medical coverage. After Medicare has paid for the most significant share of the medical claims, Part F takes care of the remaining expenses. Medicare Part F completely covers both your Part A hospital deductibles and your Part B outpatient deductibles. It includes the 20% that Medicare Part B typically leaves for you to pay. Medicare Plan F also takes care of all Part B additional charges. You will not have to pay the standard 15% extra charges that specialists under Medicare are permitted to charge for Part B services. You also don’t have to get treatment at select places. You can choose among the more than 880,000 doctors in the United States. Also, you can see a specialist anytime without a referral from your doctor. Part F expenses can be moderately competitive when it comes to month to month premiums for the coverage. Even though Part F offers the most detailed coverage, it significantly contributes to lower overall health costs in comparison to the other insurance plans. There is a minimal scope of prescription drug coverage under Medicare Part A and B. Medicare Part A takes care of all prescription drug expenses you incur as an inpatient. Part B can cover some outpatient medical expenses. When it comes to supplemental plans like Medicare Part F, you don’t get any coverage for prescription drugs. 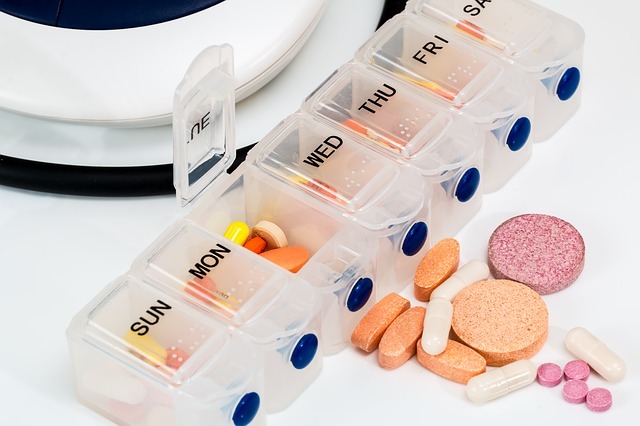 However, supplement plans do cover for Medicare Part A and B out of pocket expenses. Medicare Parts F and G help you pay the extra medical expenses under Medicare Part A and B. These expenses include coinsurance, deductibles, and copayments. Some providers also have innovative coverage under the supplement plan, including eyeglasses and health club discounts. To get a prescription cover under Medicare, you must enrol in a Prescription Drug Plan (PDP) provided by a private insurer. You will likely still be responsible for copayments, premiums, and coinsurance costs, even when your prescription drugs expenses are covered. You are required to be registered for Medicare. So, does Medicare Part F cover prescriptions? Part F does not cover prescriptions. Medicare Part F is a supplemental insurance coverage that takes care of coinsurance, copayments, deductibles and other Medicare services not covered under Parts A and B. The team here at Vertex Insurance can answer all of your questions, and help you find the right coverage for your needs.